Despite rumors suggesting that the Ohio legislature pressured marijuana advocates to back down from their efforts to put a medical marijuana initiative on the November ballot, organizers with Ohioans for Medical Marijuana say the decision to abandon the campaign was not the result of any strong-arm tactics or political promises—the group simply could not compete with the cutthroat tenacity of state lawmakers. On Saturday, cannabis advocates across the United States were shocked to learn that the Marijuana Policy Project (MPP), the national advocacy group backing the Ohio ballot measure, had pulled the plug on its fight to bring a comprehensive medical marijuana program to the Buckeye State. The news of the suspended campaign came just days after the state legislature managed to push through a medical marijuana measure (House Bill 523) of its own—making good on its promise to get the proposal to the desk of Governor John Kasich before the end of the month. 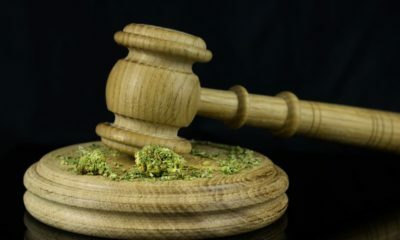 The state legislature’s version of what cannabis medicine should look like in Ohio, however, is somewhat different than the nuts and bolts of the system that was suggested by Ohioans for Medical Marijuana. The biggest difference between the two measures is the issues of smoking and growing. House Bill 523 would not allow either to happen, while the now defunct ballot initiative came attached with provisions that would have given patients permission to do both. Although many predicted the state legislature’s bill was a sure thing, Ohioans for Medical Marijuana did not show any signs of wavering from its dedication to bring a more comprehensive medical marijuana program to fruition later this year. Three days later, the group emerged battered and beaten, throwing in the towel, suggesting there was no longer any use persuing an “A+” medical marijuana program when it seemed inevitable that a “B-” program was slated for the books. However, state lawmakers say there was never a time where representatives from both sides sat down to try to negotiate some middle-of-the-road agreement in an attempt to get the Marijuana Policy Project to jump ship. Representative Kirk Schuring said members of the MPP and the state legislature never even met to discuss what it would take to get them to suspend the campaign. Many of those counting on the group to bring a solid medical marijuana program to the state are now also questioning what happened to all of the monetary donations that were supposed to be put toward getting the measure in front of voters this November. Ohioans for Medical Marijuana told HIGH TIMES that all of the donations have been spent.